Harrison is a rural community located on US-127 in Michigan. Traditionally a tourist town and retirement area, Harrison is a great location for anyone wishing to get away from the hustle and bustle of the city and enjoy a more quiet, meaningful way of life. There are many restaurants featuring Italian, Chinese, and American food, plus lots of Mom and Pop stores to browse or for a quick stop in to get your daily essentials. Since Harrison is located on a major US highway, you are not far from a Wal-Mart, movie theater, or whatever else you might be looking for. 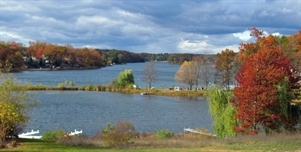 The City of Harrison attracts thousands of visitors from throughout the state, with its "twenty lakes in twenty minutes" and a large amount of state land for recreational sports. The biggest local events are the Clare County Fair (In July) and Frostbite Winter Festival (in February). There are several historic buildings in the city of Harrison. The Surrey House, which will soon be converted to the new Harrison Library, is a relic of the lumber town days. The Clare County Newspaper building, located downtown, is the oldest building in Harrison, dating back to 1898. Harrison has a great public bus system which will take you wherever you want to go within the county. They also will pick-up and deliver your medications to your door. The new MidMichigan Health Park offers general practice and specialty testing, a community dental clinic, mental health facility, and more. Local practices include Harrison Eye Care amd Dr. Maureen Gierucki, DDS. Jan 12.0 F° 20.5 F° 29.0 F° 1.8 "
Feb 13.0 F° 22.5 F° 32.0 F° 1.6 "
Mar 20.0 F° 31.5 F° 43.0 F° 2.1 "
Apr 32.0 F° 44.5 F° 57.0 F° 2.9 "
May 42.0 F° 55.5 F° 69.0 F° 3.5 "
Jun 52.0 F° 65.0 F° 78.0 F° 3.3 "
Jul 57.0 F° 69.5 F° 82.0 F° 3.0 "
Aug 55.0 F° 67.5 F° 80.0 F° 3.4 "
Sep 47.0 F° 59.5 F° 72.0 F° 3.5 "
Oct 36.0 F° 47.5 F° 59.0 F° 2.9 "
Nov 28.0 F° 37.0 F° 46.0 F° 2.7 "
Dec 18.0 F° 26.0 F° 34.0 F° 2.0 "
Spring temperatures are cold with averages in the low 40's and highs in the mid 50's. Nights are cold with lows in the low 30's. Summer temperatures are mild with averages in the upper 60's and highs in the upper 70's. Nights are cool with lows in the mid 50's. Fall temperatures are cold with averages in the upper 40's and highs in the upper 50's. Nights are cold with lows in the mid 30's. Winter temperatures are cold with averages in the low 20's and highs in the low 30's. Nights are cold with lows in the mid 10's. Condos Over 50 Communities Harrison has many living options, such as apartments, houses, senior cottages, and townhomes.